Accessing Kalamaki Beach Resort is made very easy, fast and pleasant, since it is close to Athens and Athens International Airport (ATH). Kalamaki Beach Resort can organize your transfer with the hotel’s minibus. You can reach the hotel from the Airport by taking the Athens suburban line (Proastiakos). The line connects the “Eleftherios Venizelos” Airport to “Kato Acharnai” station, from where you will need to board on trains of the suburban line Athens – Kiato and get off at “Korinthos”. The total trip lasts 1 hour and 30 minutes. The hotel’s minibus can transfer you from the Corinth terminal to the hotel (please call the reception to arrange). You can easily access Kalamaki Beach Resort by taking the highway via Attiki-odos. Driving direction: Airport to Athens >Elefsina>Corinth. Then, cross the bridge of the Canal of Corinth, stay on the right lane. Drive the exit B – ‘EPIDAVROS’ Continue for 6km on this road with direction Epidavros. 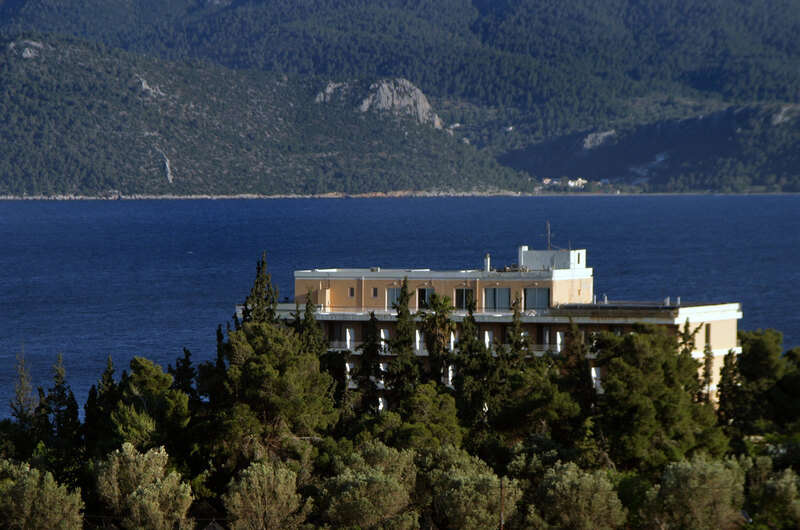 On the left hand side you see the Kalamaki Beach Hotel. GPS coordinates: 37.889207, 23.005317. Driving from Patras port towards Athens, the Kalamaki Beach Resort is 125km away. When you reach Isthmus/Corinth, get the exit ‘EPIDAVROS’. Continue for 6km on this road with direction Epidavros. On the left hand side you see the Kalamaki Beach Resort. GPS coordinates: 37.889207, 23.005317.